The debt incurred from his Brazilian acquisitions forces Narendra Murkumbi to sell a stake in his Shree Renuka Sugars. Between March and July 2010, Narendra Murkumbi acquired two sugar companies in Brazil in what was then hailed as a pioneering move. The twin debt-funded deals have now forced him to sell a stake in his flagship company, Shree Renuka Sugars, to Singapore-based agribusiness company Wilmar International. Murkumbi started Shree Renuka Sugars in 1998 with a single mill acquired with help from cane farmers in Karnataka. Over the next decade, the company expanded rapidly and became one of the country's largest sugar makers. Murkumbi, Vice Chairman and Managing Director at Shree Renuka Sugars, became the poster boy of the sugar industry in India, the world's second-largest producer and bigger consumer of the sweetener. The decision to acquire two loss-making companies in Brazil was intended to spread business risk and capture a bigger share of the global market by establishing a footprint in the world's biggest sugar-producing nation. The company invested about Rs 1,900 crore on the two acquisitions and also took on massive debt. But Murkumbi's plans went haywire. In 2011, Brazil suffered a drought that hurt the cane crop. A global sugar surplus made matters worse. Shree Renuka Sugars could not improve capacity utilisation at the two companies, now known as Renuka Vale do Ivai and Renuka do Brasil, and continued to suffer losses. High interest costs on debt that now stands close to Rs 8,700 crore - Rs 5,200 crore for Brazil operations and the remaining in India - plunged the sugar maker deep into the red. The company's stock price has slumped as well, with its market value now close to Rs 1,400 crore compared with more than Rs 7,600 crore at the beginning of 2010, according to Bombay Stock Exchange data. To ease the debt burden, Murkumbi tried to sell some assets including a power plant in Brazil, but didn't find any takers. With few options in sight, Murkumbi has now roped in Wilmar International in a complex deal. Wilmar first bought a 27.5 per cent stake in Shree Renuka for Rs 517 crore through a preferential allotment of shares at Rs 20.08 each. The preferential allotment reduced the Murkumbi family's stake to 27.5 per cent from 38.4 per cent. Both Wilmar and the Murkumbi family will also jointly invest Rs 725 crore in a rights issue of shares. Overall, Shree Renuka Sugars will get about Rs 1,240 crore, which it will use to reduce the debt in its Indian operations. Post the preferential allotment, the Murkumbi family and Wilmar will jointly control the company. The family will continue to manage the company and involve Wilmar in strategic decisions. The stake sale to Wilmar has also triggered a mandatory open offer according to Indian capital-market regulations. Wilmar and the Murkumbi family have jointly offered to buy up to 26 per cent from public shareholders at Rs 21.89 per share, or a total of about Rs 532 crore. According to a public statement announcing the open offer, Wilmar's stake in Shree Renuka Sugars would rise to 40.5 per cent if the Singapore company and the Murkumbi family each acquire half of the shares tendered in the offer. But if Wilmar purchases all the shares tendered, its stake in the sugar maker could climb to 49.5 per cent while the Murkumbi family would hold 29.9 per cent. A company executive, however, clarifies that the Murkumbi family and Wilmar will own equal stakes in the company once the entire exercise is complete and that the 49.5 per cent stake mentioned in the public announcement is a "hypothetical" scenario. Murkumbi told Business Today there is a lot of synergy between Shree Renuka Sugars and Wilmar and the deal has strategic implications for the Indian company. "We continue to look at ways to further reduce our debt," he added. 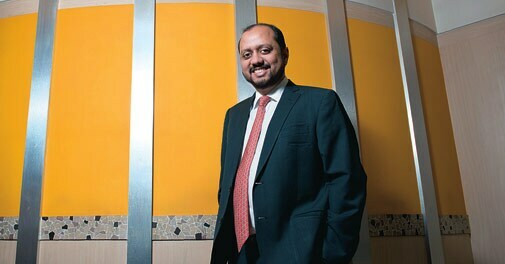 Deven Choksey, CEO of broking firm K.R. Choksey, agrees that Shree Renuka Sugars will share synergy with the Wilmar, which has a presence in the sugar business in Australia, New Zealand, Indonesia and Morocco. "However, the deal is more relevant for Wilmar since it gets an entry to the world's biggest sugar consumer... This could also be the beginning of a consolidation phase in the Indian sugar industry since there are several smaller players," he adds. Still, the deal has failed to cheer retail investors. In the four trading days prior to the announcement of the deal on the evening of February 20, the stock had gained more than 13 per cent to Rs 22.50. But, as the open offer price was set at Rs 21.89, the stock fell 10 per cent intraday on February 21 and is now trading around Rs 21. "One does not expect a promoter to give strategic control to another company at a price lower than the market price," says investment advisor S.P. Tulsian. Tulsian blames the company's venture into Brazil for its problems and says the sugar maker could have raised a similar amount by selling one or two assets. But a former director with a top sugar company also disagrees with Tulsian. "Indian sugar companies have not attracted any investment even though valuations are low," says the executive, who does not want to be named. "Renuka Sugars had few options in the current circumstances."